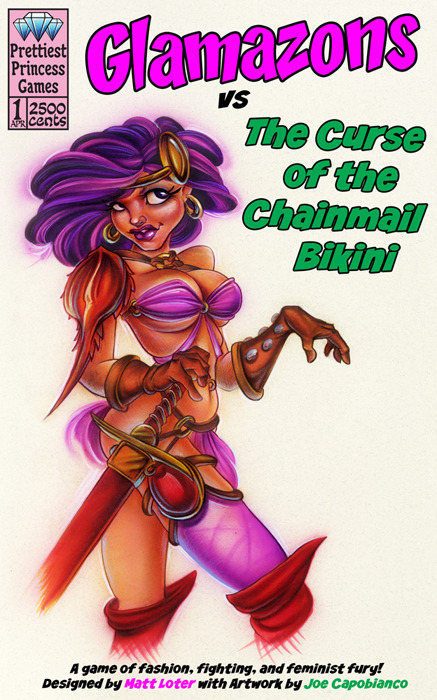 Now up on Kickstarter, Glamazons vs The Curse of the Chainmail Bikini is a game about taking down the visual depiction of women warriors in nerd pop culture. It’s a bluffing game where you’re trying to get the best of the most sensible armor, while leaving your “friends” stuck in their metal thongs. A minimum of $25 pledged is needed to procure of a copy of the game. The game has already reached about $6,500 of it’s $15,000 goal with 28 days to go.